After school programs like the YMCA’s After School programs have been proven to increase attendance during the regular school day. Creating a fun learning environment both in and out of school key to keeping kids engaged and set up for success. Our after school kids are given a fun snack, access to the gym after school, arts and crafts time and help with their homework. The Y is your place for kids to go and learn outside of school hours, and they’ll have fun learning, creating, eating and playing with others. All of our programs focus on character development and reinforce the four core values of caring, honesty, respect, and responsibility. In addition, the curriculum promotes self-confidence, respect for one another, and community building skills. Help your kids stay in school and have fun with the After School program! 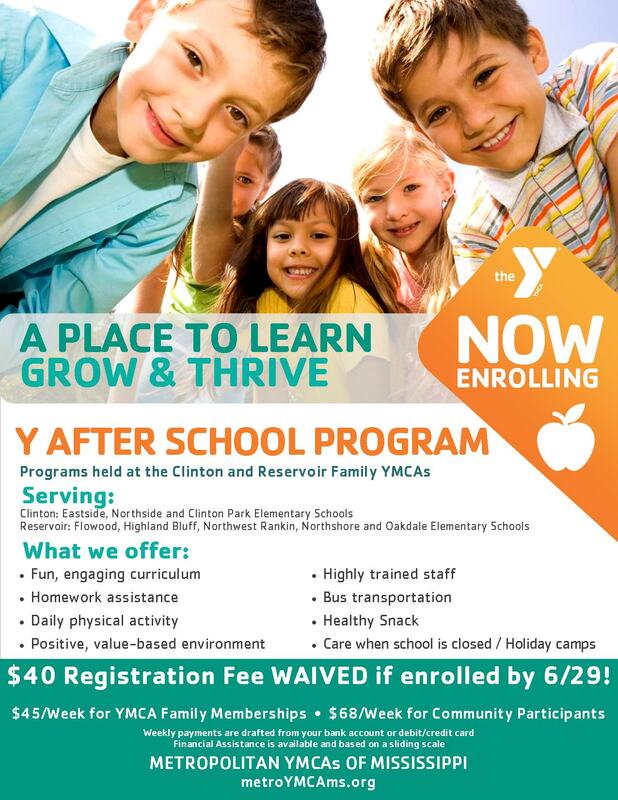 Our Clinton Family Y serves the following area schools: Eastside, Northside and Clinton Park. Our Reservoir Family Y serves the following schools: Flowood, Highland Bluff, Northwest Rankin, Northshore and Oakdale Elementary Schools.